Major Customizer Improvements, Code Error Checking, and More! ? Version 4.9 of WordPress, named “Tipton” in honor of jazz musician and band leader Billy Tipton, is available for download or update in your WordPress dashboard. New features in 4.9 will smooth your design workflow and keep you safe from coding errors. Need to get some feedback on proposed site design changes? WordPress 4.9 gives you a preview link you can send to colleagues and customers so that you can collect and integrate feedback before you schedule the changes to go live. Can we say collaboration++? You’ve got a display problem but can’t quite figure out exactly what went wrong in the CSS you lovingly wrote. With syntax highlighting and error checking for CSS editing and the Custom HTML widget introduced in WordPress 4.8.1, you’ll pinpoint coding errors quickly. Practically guaranteed to help you scan code more easily, and suss out & fix code errors quickly. When you edit themes and plugins directly, WordPress 4.9 will politely warn you that this is a dangerous practice and will recommend that you draft and test changes before updating your file. Take the safe route: You’ll thank you. Your team and customers will thank you. An incremental improvement to the media changes hatched in WordPress 4.8, you can now add a gallery via this new widget. Yes! When you switch themes, widgets sometimes think they can just move location. Improvements in WordPress 4.9 offer more persistent menu and widget placement when you decide it’s time for a new theme. Looking for a new theme for your site? Now, from within the Customizer, you can search, browse, and preview over 2600 themes before deploying changes to your site. What’s more, you can speed your search with filters for subject, features, and layout. Lend a Hand with Gutenberg ? WordPress is working on a new way to create and control your content and we’d love to have your help. Interested in being an early tester or getting involved with the Gutenberg project? Contribute on GitHub. We’ve made numerous improvements to the Customizer JS API in WordPress 4.9, eliminating many pain points. (Hello, default parameters for constructs! Goodbye repeated ID for constructs!) There are also new base control templates, a date/time control, and section/panel/global notifications to name a few. Check out the full list. Aaron D. Campbell, Aaron Jorbin, Aaron Rutley, Achal Jain, Adam Harley (Kawauso), Adam Silverstein, AdamWills, Adhun Anand, aegis123, Afzal Multani, Ahmad Awais, Ajay Ghaghretiya, ajoah, Akash Soni, akbarhusen, Alain Schlesser, Alex Dimitrov, Alex Goller, Alexandru Vornicescu, alibasheer, alxndr, Andrea Fercia, andreagobetti, Andrew Duthie, Andrew Nacin, Andrew Norcross, Andrew Ozz, Andrew Taylor, Andy Fragen, Andy Meerwaldt, Andy Mercer, Angelika Reisiger, anhskohbo, Ankit K Gupta, Anthony Hortin, Anton Timmermans, antonrinas, appchecker, arena94, Arnaud Coolsaet, ArnaudBan, Arun, Ashar Irfan, atachibana, Atanas Angelov, audrasjb, Avina Patel, Ayesh Karunaratne, Barry Ceelen, bduclos, Bego Mario Garde, Behzod Saidov, Ben Cole, Ben Dunkle, benoitchantre, Bharat Parsiya, bhavesh khadodara, Biplav, Biranit, Birgir Erlendsson (birgire), biskobe, BjornW, Blackbam, Blobfolio, bobbingwide, bonger, Boone B. Gorges, Boro Sitnikovski, Brad Parbs, Brady Vercher, Brandon Kraft, Brent Jett, Brian Layman, Brian Meyer, Bruno Borges, bseddon, Bunty, Carl Danley, Carolina Nymark, Caroline Moore, carolinegeven, Charlie Merland, Chetan Chauhan, chetansatasiya, choong, Chouby, Chris Hardie, Chris Runnells, Christian Chung, Christoph Herr, chsxf, cjhaas, Cliff Seal, code-monkey, Collins Agbonghama, corvidism, csloisel, Daedalon, Daniel Bachhuber , Daniel James, Daniele Scasciafratte, dany2217, Dave Pullig, DaveFX, David A. Kennedy, David Aguilera, David Anderson, David Binovec, David Chandra Purnama, David Herrera, David Shanske, David Strauss, David Trower, Davide 'Folletto' Casali, daymobrew, Derek Herman, designsimply, DiedeExterkate, dingo-d, Dion Hulse, dipeshkakadiya, Divyesh Ladani, Dixita Dusara, dixitadusara, Dominik Schilling, Dominik Schwind, Drew Jaynes, dsawardekar, Dzikri Aziz, Eaton, eclev91, Edd Hurst, EGregor, Ella Iseulde Van Dorpe, elvishp2006, enrico.sorcinelli, Eric Andrew Lewis, euthelup, Evan Mullins, eventualo, Fabien Quatravaux, FancyThought, Felipe Elia, Felix Arntz, fergbrain, Florian TIAR, Gabriel Mariani, Garth Mortensen, Gary Pendergast, Gennady Kovshenin, George Stephanis, Girish Lohar, Govind Kumar, Graham Armfield, Greg Ross, Gregory Cornelius, grosbouff, Guido Scialfa, Gustave F. Gerhardt, guzzilar, Hardeep Asrani, Hazem Noor, hazimayesh, Helen Hou-Sandí, Henry, Henry Wright, herregroen, Hinaloe, Howdy_McGee, Hugh Lashbrooke, Hugo Baeta, Iacopo C, imath, Ippei Sumida, Ipstenu (Mika Epstein), Irene Strikkers, Ivan Kristianto, ixmati, J.D. Grimes, j.hoffmann, James Nylen, Janki Moradiya, Jason Stallings, Jeff Paul, Jennifer M. Dodd, Jeremy Felt, Jeremy Pry, Jip Moors, jjcomack, jkhongusc, Joe Dolson, Joe Hoyle, Joe McGill, John Blackbourn, John Eckman, John James Jacoby, John Regan, johnpgreen, johnroper100, Jonathan Bardo, Jonathan Desrosiers, Jonny Harris, Joost de Valk, Josepha, Josh Pollock, Joy, jrf, jsepia, jsonfry, Juhi Saxena, Julien, Justin Kopepasah, Justin Sternberg, K.Adam White, Karthik Thayyil, keesiemeijer, Kelly Dwan, Kevin Newman, Kim Parsell, Kiran Potphode, Kite, Konstantin Kovshenin, Konstantin Obenland, Konstantinos Galanakis, koopersmith, Kristin Kokkersvold, lalitpendhare, Lance Willett, Laurel Fulford, lemacarl, lessbloat, llemurya, Luke Cavanagh, Mário Valney, m1tk00, Maedah Batool, Mahesh Prajapati, Mahvash Fatima, Maja Benke, Mako, manolis09, manuelaugustin, Marcel Bootsman, Marius L. J., Marius Vetrici, Mark Jaquith, Mark Root-Wiley, markcallen, Marko Heijnen, MatheusGimenez, Matt Gibbs, Matt Mullenweg, matthias.thiel, mattyrob, Maxime Culea, mdifelice, megane9988, Mel Choyce, Menaka S., Michael Arestad, Michele Mizejewski, Miina Sikk, Mike Crantea, Mike Hansen, Mike Schinkel, Mike Schroder, Milan Dini?, Milana Cap, Milind More, Mirucon, Mitch Canter, Mithun Raval, mkomar, Monika Rao, Morgan Estes, moto hachi ( mt8.biz ), msebel, munyagu, MyThemeShop, N'DoubleH, Nathan Johnson, nenad, nic.bertino, Nick Diego, Nick Halsey , Nicolas GUILLAUME, nicollle, Nidhi Jain, Nikhil Chavan, Nilambar Sharma, Nileshdudakiya94, Nishit Langaliya, Norris, obradovic, Ov3rfly, Paal Joachim Romdahl, palmiak, Parth Sanghvi, Pascal Birchler, Pat O'Brien, patel, Paul Bearne, Paul Biron, Paul Dechov, Paul Wilde, Payton Swick, pcarvalho, Pedro Mendonça, Pete Nelson, Peter "Pessoft" Kolínek, Peter J. Herrel, Peter Toi, Peter Westwood, Peter Wilson, Philip John, Piotr Delawski, Pippin Williamson, Plastikschnitzer, powerzilly, Pratik Gandhi, Presslabs, Punit Patel, Purnendu Dash, r-a-y, Rachel Baker, Rafael Miranda, Rahmohn, Rami Yushuvaev, ramon fincken, Ravi Vaghela, RC Lations, redrambles, RENAUT, Reuben Gunday, rfair404, Riad Benguella, Rian Rietveld, Riddhi Mehta, Rinku Y, Rob Cutmore, Rodrigo Primo, Ronak Ganatra, rugved, Rushabh Shah, Ryan Boren, Ryan Duff, Ryan Holmes, Ryan Marks, Ryan McCue, Ryan Neudorf, Ryan Plas, Ryan Welcher, ryanrolds, ryotsun, Sabuj Kundu, Sagar Prajapati, sagarladani, Said El Bakkali, Sami Keijonen, Sampat Viral, Samuel Sidler, Samuel Wood (Otto), sarah semark, sathyapulse, sboisvert, Scott DeLuzio, Scott Kingsley Clark, Scott Lee, Scott Reilly, Scott Taylor, scribu, Sebastian Pisula, SeBsZ, Sergey Biryukov, Sergio De Falco, Shamim Hasan, Shawn Hooper, Shital Marakana, shramee, Siddharth Thevaril, Simon Prosser, skostadinov, Slava Abakumov, someecards, Soren Wrede, spencerfinnell, spocke, Stanko Metodiev, Stephane Daury (stephdau), Stephen Edgar, Stephen Harris, Steve Grunwell, Steve Puddick, stevenlinx, Subrata Mal, Subrata Sarkar, Sudar Muthu, Susumu Seino, svrooij, Takahashi Fumiki, Takayuki Miyauchi, Tammie Lister, Taylor, tejas5989, terwdan, tharsheblows, thingsym, Thoriq Firdaus, Thorsten Frommen, thulshof, Timothy Jacobs, tmatsuur, tobi823, Todd Nestor, Tor-Bjorn Fjellner, Torsten Landsiedel, Toru Miki, toscho, transl8or, truongwp, tuanmh, TV productions, uicestone, Ulrich, Umang Vaghela, Umesh Nevase, upadalavipul, Utkarsh, vhauri, williampatton, withinboredom, Wojtek Szkutnik, Xenos (xkon) Konstantinos, Yahil Madakiya, yonivh, yrpwayne, zachwtx, and Zane Matthew. Finally, thanks to all the community translators who worked on WordPress 4.9. Their efforts bring WordPress 4.9 fully translated to 43 languages at release time, with more on the way. 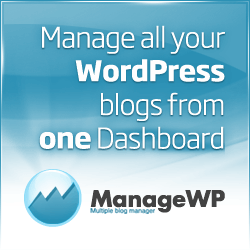 Do you want to report on WordPress 4.9? We've compiled a press kit featuring information about the release features, and some media assets to help you along.